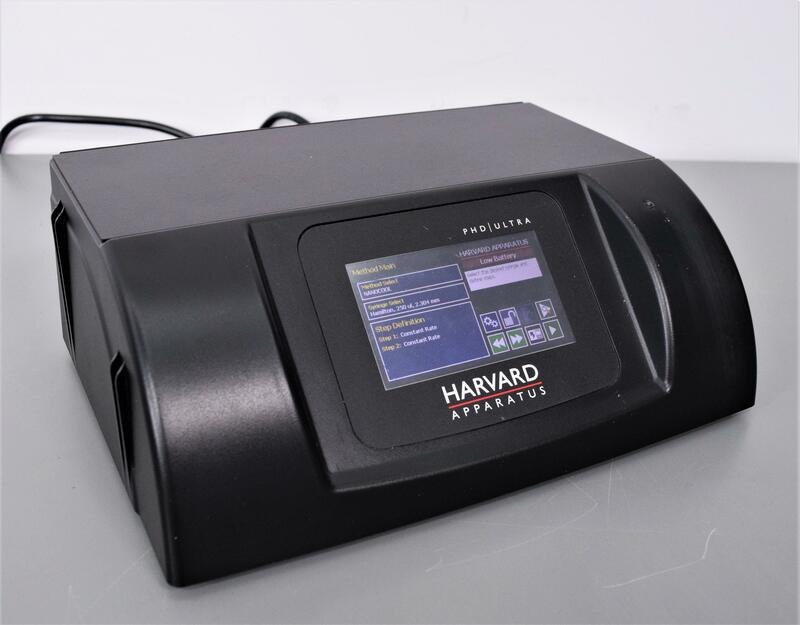 Harvard Apparatus PhD Ultra for NanoCool Injector Remote Communication 703040 . New Life Scientific, Inc.
Our in-house technician inspected the Harvard Apparatus PhD Ultra for NanoCool and found the touch screen to have a crack in the corner as pictured. Further inspection found the touch screen to light up but not be functional. It does go through the initialization after being powered on and both logic boards and the internal power supply do work. Tested and passed basic initialization. No further testing was done. In great cosmetic condition with little to no wear.